After going to the Heritage Day festivities on Prince’s Island Park and having some delicious tacos there from La Doña, we (Michelle, my mother and myself), decided to take the trip out to Forest Lawn and give the restaurant a try. The tacos at the Heritage Day festival were really delicious and left us wanting more! Unfortunately, La Doña didn’t live up to that day at all. Which is weird to me – I’d expect that the limitations of cooking outdoors at a festival would be burdensome and that the quality (and taste) of the food at a restaurant, (with all the proper equipment, better facilities, etc. ), would be much better. But this was not at all the case with La Doña. We were really excited about having a new Latin/Mexican restaurant in Calgary, especially one that bills itself as serving "The real Mexican food". There isn’t really much in terms of authentic Mexican restaurants here in Calgary, so we were really looking forward to this. 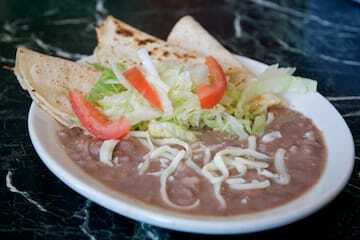 But this food is not authentic at all, nor very good by anyone’s standard anyways. In fact, one of the things I still remember vividly about that day – there was a Mexican lady and her husband that sat in the table across from us the day we went. She hardly touched any of the food she ordered and asked the waitress where she was from. I’m not sure how the waitress responded, but we then heard her ask "What about the cooks? Where are they from?" I think they were in fact all Mexican, but you’d never know that from the food. She paid her bill and left looking very offended, with 90% of the food still on her plate – unpalatable. 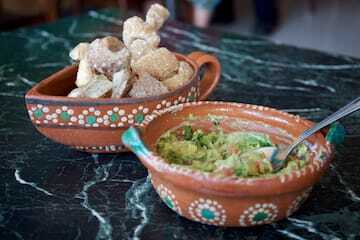 I don’t mean to beat a dead horse, but to further emphasize my point, we ordered "Chicharrones con Guacamole" from their appetizer menu – the guacamole tasted OK, I’ll give them that (nothing to write home about though) but the chicharrones (pork rinds) were so old and so hard, we were afraid we were about to break off our teeth. In fact, my mother said her teeth hurt for a whole week after having that and I don’t doubt it for a second. I’ve had these before, but these ones were seriously rock-hard. I’d never serve that to anyone! The rest of the food we ordered (fajitas, tacos, steak, enchiladas) left very much to be desired. Even the tacos. (The onions from the fajitas, I remember, were actually burnt black. Again, I’d never serve that to anyone.) If this place continues to bill themselves as "authentic" and as "the real Mexican food" I know they’re going to really offend a lot of Mexicans! When your "Authentic Mexican" restaurant can compare to Julio’s Barrio or even to Taco Bell, and it’s debatable which is better, you’re obviously not doing things right! We were exceptionally disappointed with the food, and for that reason alone, I can’t recommend this to anyone, especially if you’re looking for authentic Mexican food. To make matters worse, the service was only one notch above atrocious. From the moment we arrived, our waitress acted like she really didn’t want to be there (after trying the food, I don’t blame her, but still…), she never smiled, never looked us in the eye, etc. etc. And the service was pathetically slow too. Half-way through the evening, trying to enjoy our evening in spite of the food, we all-of-a-sudden felt like we were in the middle of one of Mexico City’s markets. The staff conglomerated in the kitchen and were laughing, yelling, screaming, (fighting?) – just making tons of noise, oblivious to the fact that they were in a restaurant. They were making so much noise in fact, and were so distracted having a gay-old-time that it took them a very long time to realize that the background music CD had finished playing. Terrible. Not the way you’d want to spend an evening, not at all! Enough was enough so we decided to leave, but our waitress was nowhere to be found. We made our way to the front so we could ask for our bill and pay it, and found our server sitting in the corner, texting away on her cell phone. When we got her attention and asked for the bill, she looked at us with that "Latina attitude" on her face that you all know, and said "Yeah. I’ll get it for you in a second." She made us wait another five minutes, standing at the front door, while she finished sending her text messages. Seriously!? 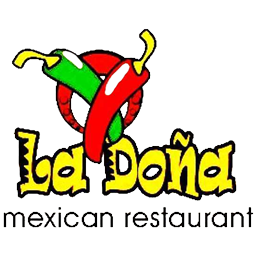 La Doña Mexican Restaurant was published on Wednesday, September 2, 2009 at 12:38pm MDT by Daniel Menjívar and last updated on April 11, 2018 at 9:30pm UTC .